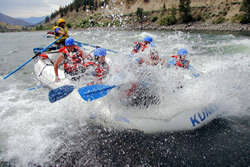 “The Kumsheen Rafting Resort is one of the most beautiful places in all of British Columbia. Every morning we awoke to the smell of air so clean and fresh it cleansed our lungs. Our accommodations were astonishing; we stayed in cozy cabins, with a pool, classy restaurant, accompanied by a basketball and volleyball court.”. The facilities were wonderful – clean, well outfitted. Everyone that we encountered was friendly and professional. 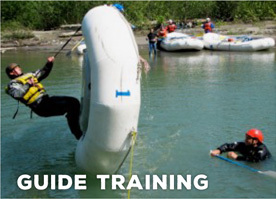 The guides were very capable and worked hard to ensure that everyone had a fun experience. It was a very memorable and special time for my family and your resort and people could not have been nicer. 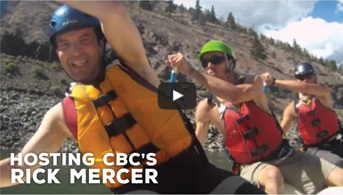 A perfect three days… by far the best of our BC honeymoon vacation. We had a wonderful time at Kumsheen this last weekend. Your staff are very knowledgeable, courteous and helpful so our experience was an excellent one. We will definitely do it again! I just wanted to extend a huge THANK YOU for making our group event our most memorable ever! I’ve been receiving tons of feedback from our trip and thought I would share some of the comments with you. A big thank you to our guides Andrew and Jimmy who made our trip so fun and entertaining!! We had a BLAST… we are already planning to do it again next year!!!! From Megan to Ryan to Charlie at the end of our trip with a glass of cold water you people are true professionals. We as a family had a most enjoyable day. The only thing we will do different next time is stay overnight and use your facility. Thanks again for a great day! 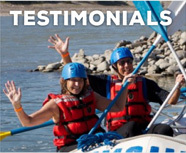 Everything, from the clean facilities to the smile on the staff member faces, the friendly & professional service, fantastic meals, and then the “out of this world” rafting experience, were all first class and better. 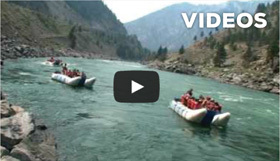 We are glad that we did our river rafting with Steve as our guide. We had a blast! I will go again in a heart beat…. From the moment we walked in to the gift shop/registration desk to the moment we left we were impressed with your staff. I have become one of your walking ads, sharing our great experience with everyone I work with. Your facilities are fantastic and the staff are unbelievable. It is truly rare to find staff that are always friendly and helpful all of the time, you have found that staff. The three ladies who looked after us at meal times were the greatest and your cook was terrific. I was expecting hotdogs and fries not gourmet meals. Even the young lady who I saw on a number of occasions pulling weeds and cleaning up the waterfall was always friendly and smiling. Thanks for the amazing time at your resort. The kids loved it, so did Lisa, and I’m essentially addicted to the place. There simply aren’t enough words to describe the service you provided and the trip I had. Everything about my trip was awesome, from the resort and the amenities, the incredible food served in the Cutting Board Restaurant and on the riverside, to the friendly out going staff in the office and … your guides are amazing and the river phenomenal. 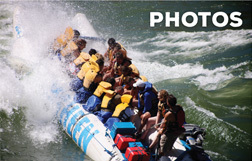 Just as much fun as the Zambezi – very well organized, great guides. A quick note to thank you and all the wonderful staff at Kumsheen for hosting and entertaining the Lilydale team last week. The professional, courteous and fun filled atmosphere that we enjoyed is a great reflection on you and your team’s commitment to providing a great customer experience Best wishes for a successful 2006 season. .
We had an absolutely stellar time and cannot thank you enough for your warm and welcoming hospitality. 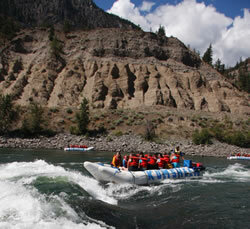 Kumsheen is a jewel – the resort shines, and the Thompson River sparkles. Every little detail was well planned and we were so well looked after by everyone we were in contact with…you have a super Kumsheen team! Kumsheen and the resort far exceeded my expectactions. I was very impressed with the facilities and have already recommended Kumsheen to my friends! 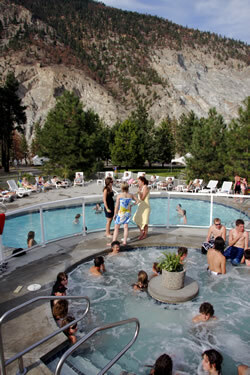 Sitting in the hot tub staring across at the canyon is worth a return visit alone! I just wanted to thank you for the best time I’ve had in my entire life, I went to the teen adventure camp in July and everything went perfect. 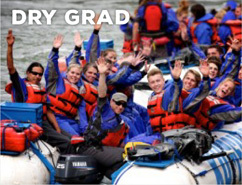 Our guides were amazing, Big Wave Dave was awesome, and the river couldnt have been wetter. I hope to work there when i turn 18. thanks again for the great time. Our sincere appreciation for David’s time at your teen camp…it will have an everlasting effect on our son. I had the best time of my life at Kumsheen’s Teen Camp. It was awesome! 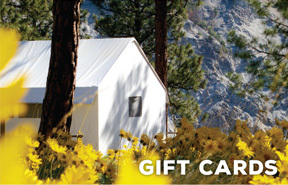 My cabin partner, Andrew, exclaimed that he loved the place and it beats all other camps.